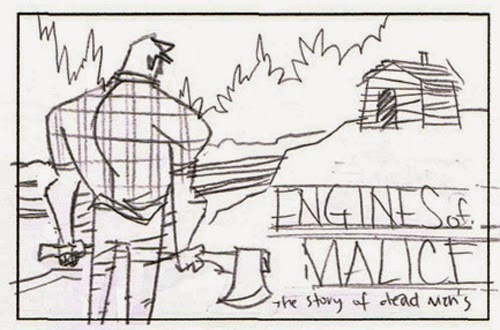 I'm a bit behind in updating my blog, but the CANADIAN PULP series for FFWD has wrapped up, so I'm jumping back on board the process wagon to show off the rest of the series. 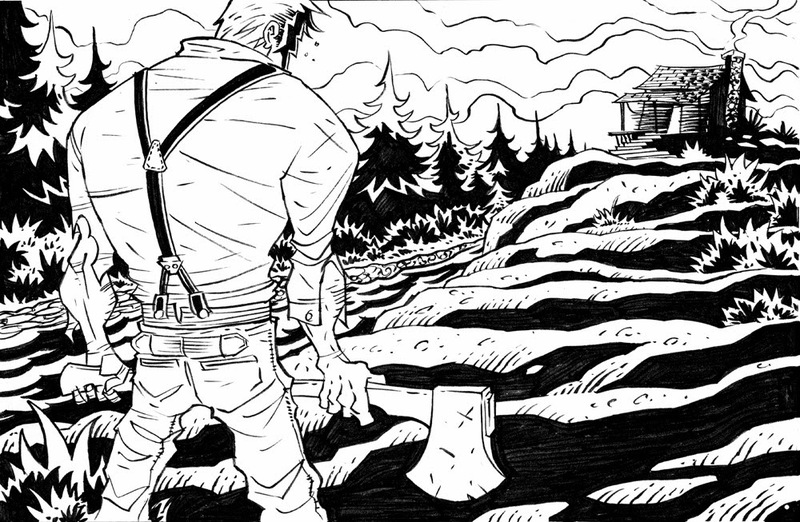 This image was inspired by horror films comics and definitely has that "Mignola vibe." It refers to the story of how Dead Man's Flats, Alberta received it's name. 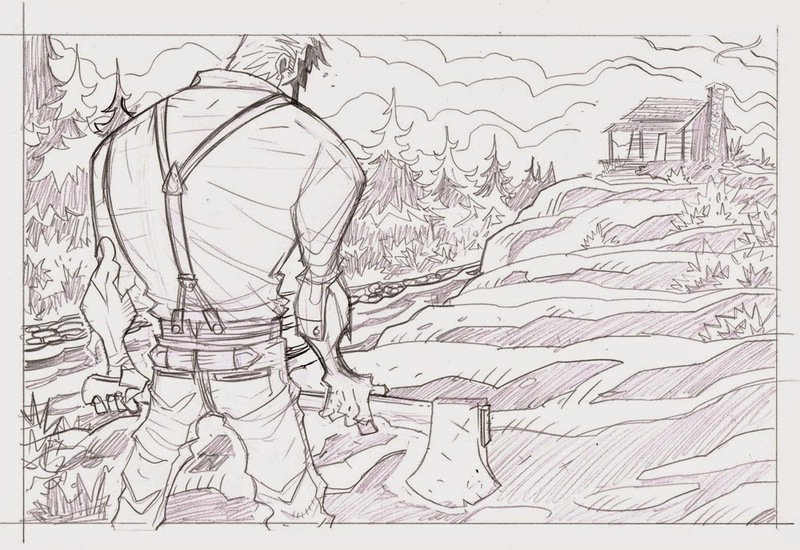 There are a couple different legends about its dark origins but the one I chose involves two brothers who moved out West to do some logging. 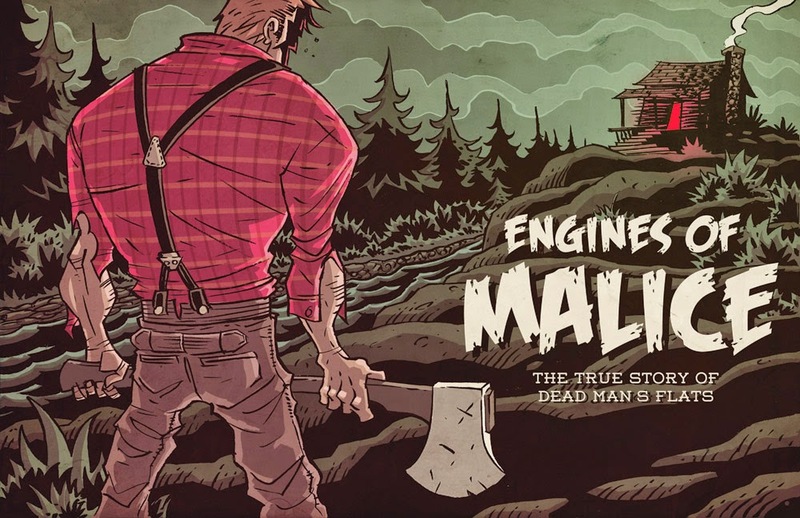 One became convinced that the other had planted electrical engines in the forest that were controlling his mind and actions, so he murdered his brother with an axe and dumped his body in the river. Chilling stuff. Perfect for Canadian Pulp!